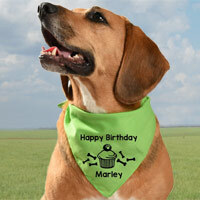 This customised dog bandana is perfect for your special day. 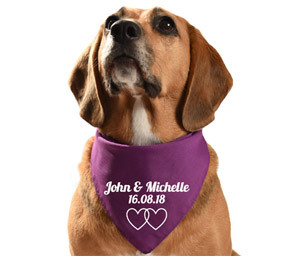 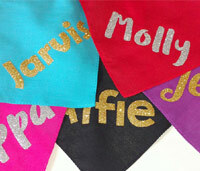 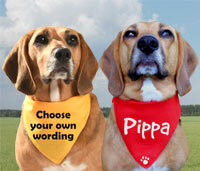 A lovely touch for a wedding or civil ceremony, these cute personalised dog bandanas mark the occasion wonderfully. 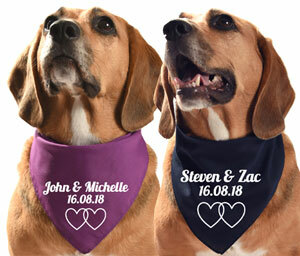 Perhaps your dog will be at the wedding or for photos before the happy couple leave for the ceremony. 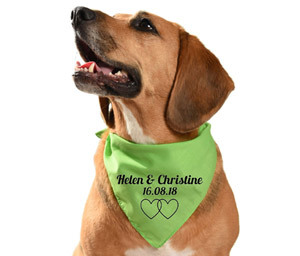 Great for doggie ushers, dog of honour etc. 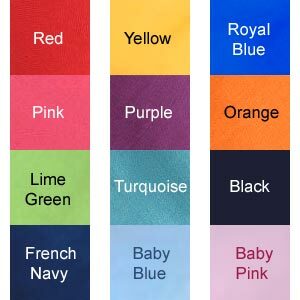 There is a great range of colours to choose from. Enter the names of the couple and the date. 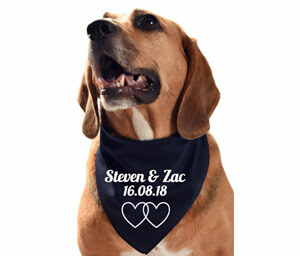 Also perfect for engagements and anniversaries.